The midwest’s blistering summers and freezing winters not only put huge stress on buildings, but also send energy costs through the roof. Caulking can help reduce costly repairs in the long run by providing thermal insulation and controlling water penetration that wreak havoc on building materials, especially in these extreme conditions. A tightly sealed building will also be easier to heat and cool, and will reduce energy costs overall. And, as an added bonus, it will provide a better indoor environment by controlling unwanted noise. 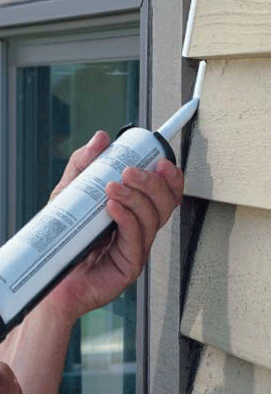 ARID Resources specializes in caulking windows, doors and wall penetrations, as well as building voids. Our services include installation of all types of sealants, expanding foam sealants, penetrating sealers and tuck pointing. For more information, please call ARID Resources at 402.861.4400.